As a parent/coach, taking digital pictures was my way to share the excitement of sports with my team. As my kids have grown in sports, so has my interest in sports photography. I am located in Scottsdale, Arizona, and continue to grow my desire to capture the best action photos, mainly in different sports settings. 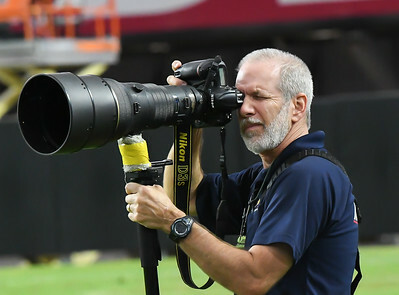 As the challenge to capture great action photos, and my desire to improve upon my performance, I have become a member of the Professional Photographers of America (PPA) , and a member of MaxPreps professional sports photographers network. I continue to study my craft to become better equipped to handle various lighting situations and action settings. NOTE: There is only one option for Corporate (non-consumer) use of these images. Buyer may not resell, relicense, redistribute without express written permission from Content Provider. Use as a derivative work, and reselling or redistributing such derivative work is prohibited. Media may not be used in a pornographic, obscene, illegal, immoral, libelous or defamatory manner. Media may not be incorporated into trademarks, logos, or service marks. Media may not be made available for download. Content Provider retains all rights, license, copyright, title and ownership of the Media. There is no warranty, express or implied, with the purchase of this digital image file. Neither Content Provider nor SmugMug will be liable for any claims, or incidental, consequential or other damages arising out of this license or buyer's use of the Media. 20 x 30 prints can only be made with images that have a size of 3000 x 2216 px. What is the policy on usage of images? Purchased images are for Personal Use Only. For commercial use, there is ONE options available. Please contact me directly if you have other usage needs. Will the copyright/watermark text appear on purchased images? The copyright/watermark text will Not Appear on purchased images. There are No Refunds after purchasing images.